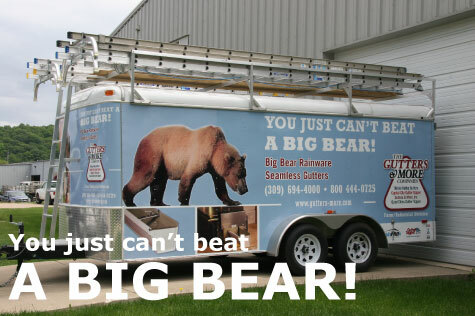 Big Bear Rain Ware Seamless Gutters are oversized and designed to quickly remove rainwater from any large roof. The greater the water-handling capacity the less potential for water damage. By design, Big Bear Rain Ware Seamless Gutters provide maximum water flow and ultimate protection. Big Bear Rain Ware Seamless Gutters are made from a heavier gauge metal than typical gutter systems. They are built for heavy-duty applications – industrial and commercial businesses as well as barns and warehouses – and designed to last a lifetime. We use higher quality materials and all our products are backed by limited lifetime warranty.